The blistering sun could not stop which has now become a new Montreal tradition; Eurokracy. In a city which seems like the car scene has been dominated by weekly meets and less annual shows comes a beacon of light with Eurokracy. 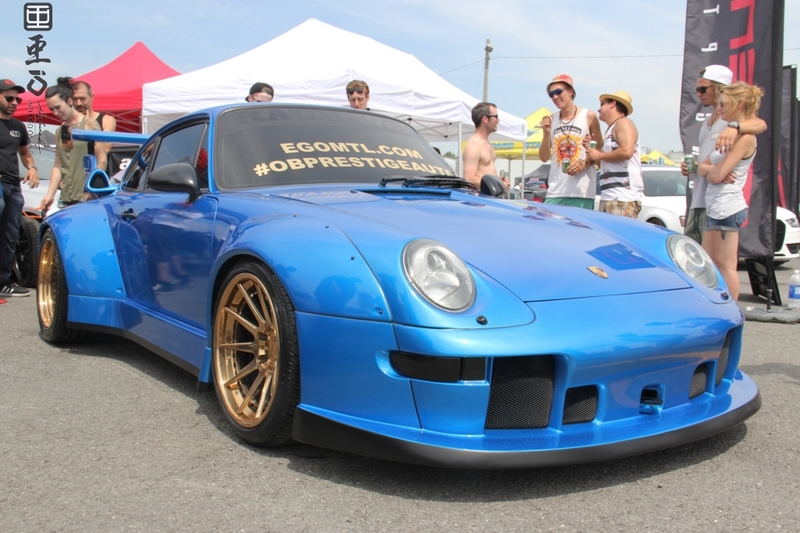 Now in their 4th year, the show passionately run by enthusiasts of the Euro scene continues to grow each year offering spectators all the sights and sounds that the car scene has to offer. This year was once again held at the Napierville Dragway in Napierville, Quebec and filled the parking lots, fields and roads to capacity, the gates opened at 10 for the general public and even into the late afternoon there were still cars trying to get in to catch up on the festivities. During the day fans were entertained with drag racing, the neckbreaking competition and some EPIC burnouts. With the growth and popularity of Eurokracy and attracting people as far away as Manitoba, the Maritimes and parts of the United States; the glimmer of hope is that we will see more shows like this Montreal, in addition we cant wait to see what’s in store from the team at Eurokracy for 2015. Eurokracy is a new summer standard in Montreal so move over Jazz Festival and Just for Laughs.